Dorob (NOT) 4Sale was an anonymous artistic intervention to raise awareness about the fact that our national parks (in this case the Dorop National Park) and oceans are being sold out to mining and industrial companies. In a tongue-in-cheek manner, the artist boldly advertises land for sale by installing 15 fake estate agent signs at different sites next to the main road passing through the park. 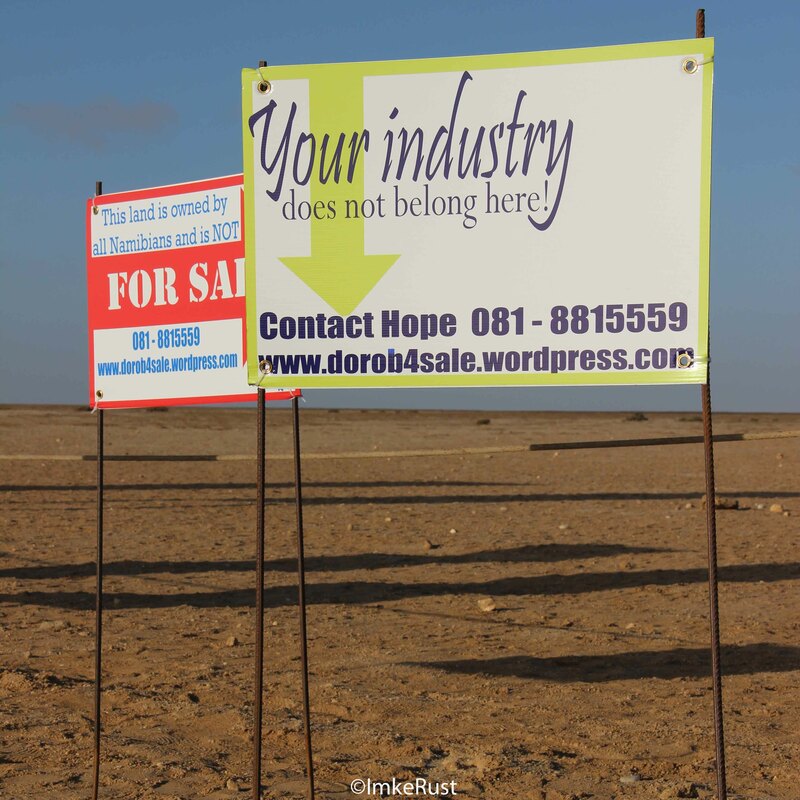 On closer inspection of these signs, individual messages warn that our land should not be for sale and provide a web address and cellular phone number. Part of the artistic intervention is the setting-up of an accompanying website with more information on the subject and an answering machine message informing the caller in an ironic way that the land is not for sale. The action received some attention in the local media, numerous calls to the phone and the webpage has recorded more than 400 views by March 2013. Temporary installation of 15 signs at 5 different locations along the C34 road in the Dorob National Park, Namibia. Permanent webpage: www.dorob4sale.wordpress.com and life cellular phone number with prerecorded answering message.